Protesters participate in a 2014 rally on Chicago's south side as labor organizers escalate their campaign raise the minimum wage for employees to $15 an hour. John Walsh, the chamber’s government and public affairs manager, said the chamber surveyed its membership about what they thought of the increase. Walsh said 80 percent of respondents say a $15 minimum wage would negatively affect their business. Illinois’ minimum wage is $8.25, and it has been that way since 2010. Walsh said the increase is just another sign that Illinois does not take the needs of businesses and job creators into account. “And really, without those businesses and job creators, you won’t have anyone to pay, right? If we continue to add burdens onto those who are signing the checks, there will be less to sign, theoretically,” he said. Walsh said the McLean County Chamber of Commerce will work with regional legislators to fight for small-business tax credits that will lessen the burden of a wage increase. Illinois has one of the highest minimum wages among its neighboring states, which mostly follow the national minimum wage of $7.25. Gov. 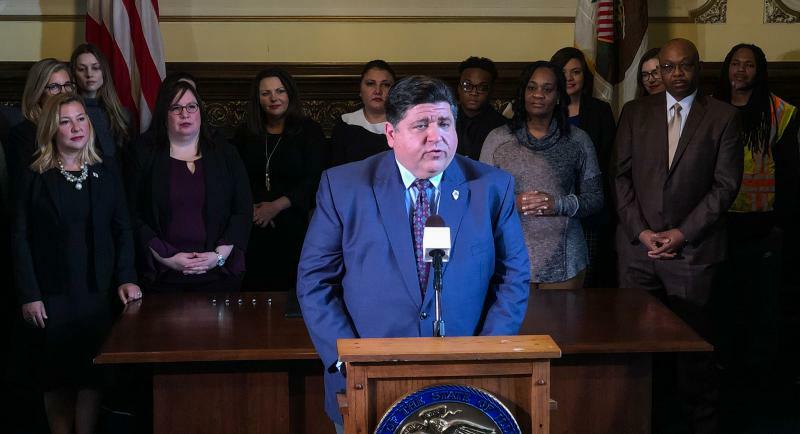 JB Pritzker listed raising the minimum wage as a priority during his first months in office. He has said he wants the minimum wage to be $15 statewide by 2025. Former Gov. Bruce Rauner vetoed a measure to increase the minimum wage in 2017, saying it would minimize the number of available jobs. The McLean County Chamber of Commerce supported the governor's action at the time. Coming Thursday on GLT's Sound Ideas: Hear from a local supporter of a $15 minimum wage and why he thinks the benefits outweigh the cost.